Should You Buy Lady Bugs for Your Container Garden? ..But not sure what they are? 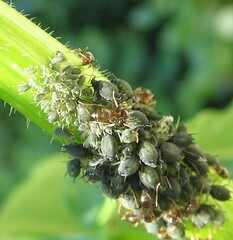 Those annoying little bastids are aphids. There a billion different varieties of them, but what’s that matter to you? You just need to know what the are. In the rest of this post, I’ll share some characteristics, pictures and ways to get rid of them. The larger ones are 10mm. That aint’ very large. You’ll find them on the underside of leafy greens. They hang out in clusters. Besides green, they can be black, brown or pink. 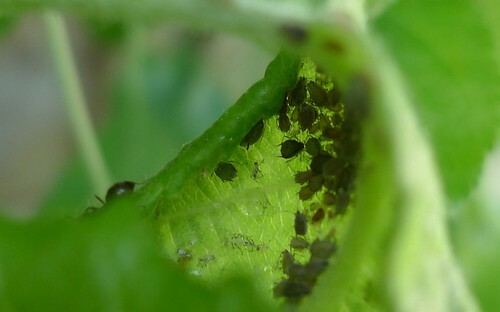 Since aphids are soft-bodied you can squish them, but that isn’t a great use of time. Here are three other options for you. Keep your container garden ant free. 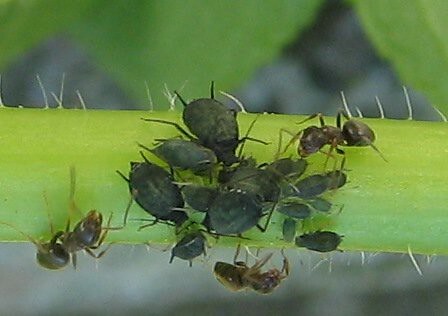 Fern from Life on the Balcony wrote a post on how this is a preventative method because ants help to shuttle aphids around. She goes into further depth on this post on her site. Make a homemade spray. Boil up some water with onions, garlic and cayenne pepper. Let it steep for a bit, then spray down the aphids and undersides of leaves. Buy an organic pesticide. 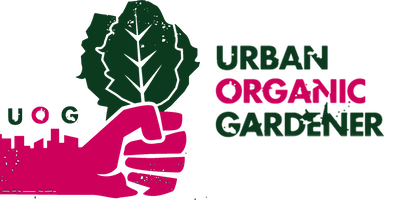 One solution for an organic pesticide is from Safer Brand (one of my sponsors). Their EndAll organic insect killer will help to solve most of your insect problems and is OMRI listed. Before you say how it’s going to kill the beneficials as well, I asked them the same question and here was their response. 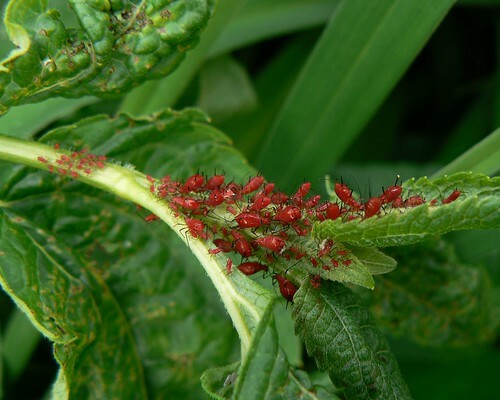 Now that you can identify those little green bugs on your plant, in the comments below let me know which of your veggies aphids have attacked and how you are going to get rid of them from now on. Main photo courtesy of Newtonia on Flickr.